Getting dramatic visible results no longer means putting yourself through extreme workout! 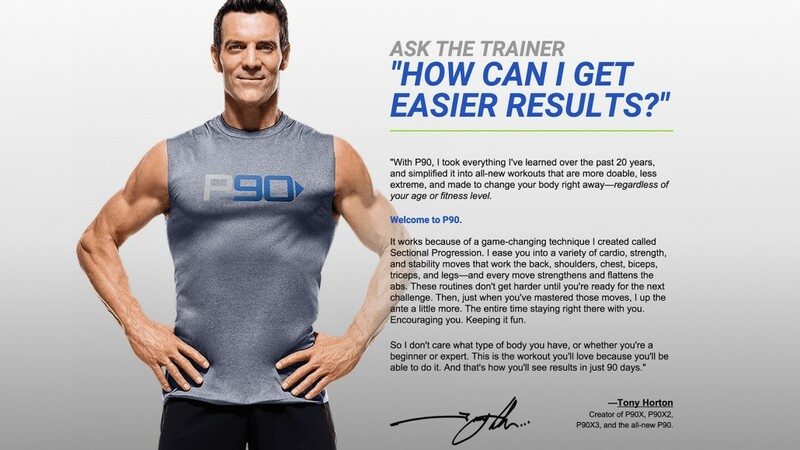 With P90 Tony Horton, the creator of the P90X workout series, has created a fitness gateway for everyone and anyone no matter your age, experience, or fitness level. 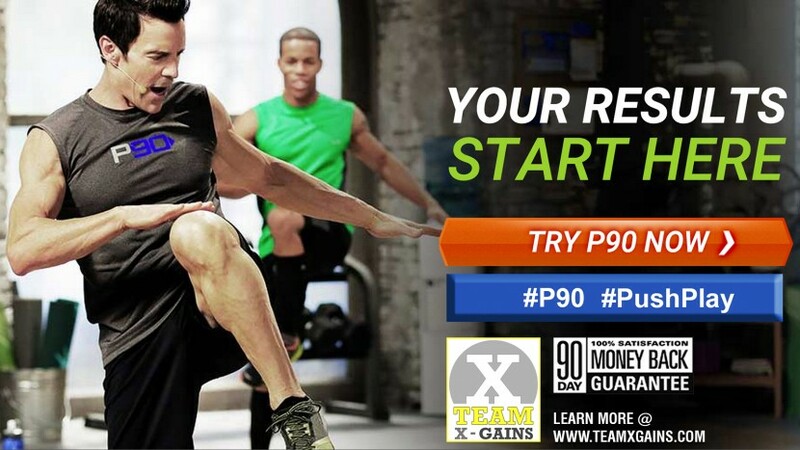 P90 is your “on switch to fitness” no matter who you are. 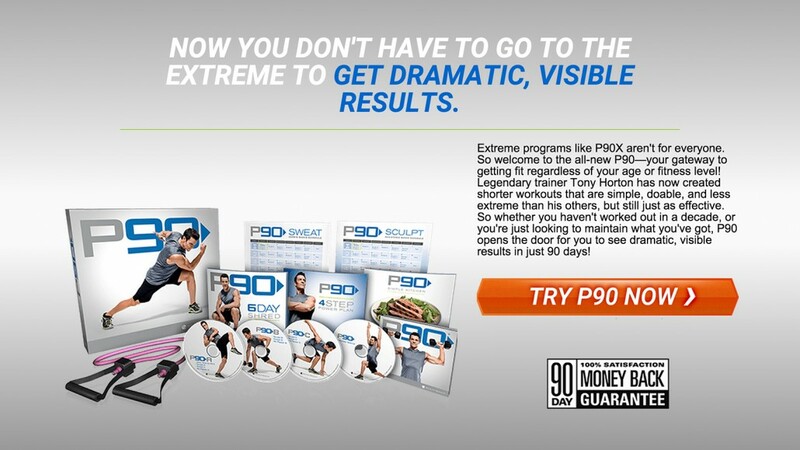 So, whether you’ve been sidelined due to injury, you’ve been out the game for other reasons, you’re too worried about trying an extreme workout, or you think you’re just too old to workout Tony Horton has created the perfect program to either get you back in the game in just 90 days. And, as with all Beachbody products, P90 comes with a 100% SATISFACTION 90-DAY MONEY BACK GUARANTEE!